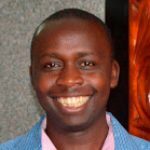 How Expensive Are Elections in Kenya? Elections in Kenya have been reported to be very expensive. The two leading political parties have lined up deep pockets in preparation for the August 8 elections. The politicians and their political parties are planning to invest a fortune of Information Technology (IT), hiring of foreign advisers, helicopters and high-end motor-vehicles. The official campaigns have been planned to officially commence on 28th May, 2017.Experts have estimated that a presidential candidate requires Ksh. 5 billion or USD$50 million to conduct an extensive campaign. This money will be used in purchasing of campaign materials, event organizing, communications, human resources, operations, transport and research. Currently, it costs $2,500 an hour to hire a helicopter for the campaign. This is a damn expensive affair. Those aspiring for governorship will require Ksh. 600 million to mount an election campaign. An aspiring member of parliament will need Ksh. 15 million to run a campaign to join national assembly. This cost may vary depending on a number of factors such as population and size of the constituency under question. These two party have put in place resource mobilization team to raise the required funds for campaigns. The National Super Alliance (NASA) resource mobilization team will be led by Jimmy Wanjigi. In Jubilee Party, leading Mount Kenya billionaires will led the resource mobilization campaign. There are several options through which the political aspirants and political parties can raises the required resources. For instance, the former president Mwai Kibaki raised resources in 2012 through his 1-million per plate fund-raising dinner. The national treasury will fund the campaigns of political parties as required by the Political Parties Act. The resources will lonely be received by political parties which were able to amass at least 3 percent of all votes cast during the previous general elections. Previously, TNA received a total of $866,679 from the exchequer. 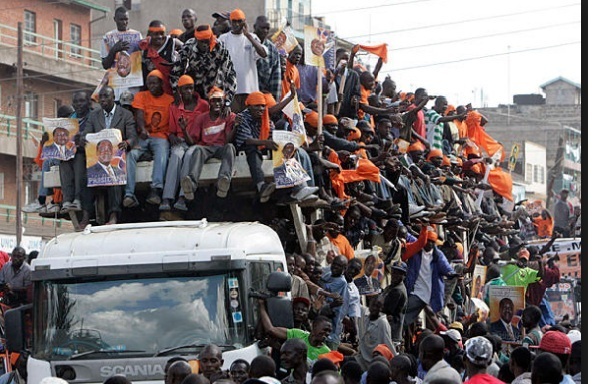 This was followed closely by $848,239 received by Orange Democratic Movement (ODM). Finally, the defunct United Republic Party (URP) received $273,688. Political parties need these funds in order to properly campaign. The Jubilee Party is receiving technical expertise from SCL Elections from United Kingdom. This organization is providing advice on fundraising, research and budgeting and campaign strategy. The following people have been mentioned by the local dailies to be the owners of choppers used for campaigning around the country. Raila Odinga owns a Euro-copter which he has been using extensively on his campaign trail in the recent times. The Deputy President William Ruto owns 3 choppers which are branded and were recently hired by Buzeki to impress the residents of Uasin Gishu County to vote for him as Governor. PK owns a chopper. He was defeated in the primaries by Mike Sonko. PK is now running as an independent candidate. Musalia Mudavadi owns a Helicopter registration number 5Y TXM. Biwott is a former cabinet Minister of many years. He owns 2 choppers which are mostly hired by politicians. Simeon Nyachae owns a Eurocopter registration number 5Y HSN. The retired president is also a proud owner of a helicopter registration number 5Y FWE. In 2013, the retired president acquired another chopper. The KANU strongman cannot be left behind. He is one of those Kenyans who own a chopper. If you own a chopper and we have not included your name, please include it in the comments section.